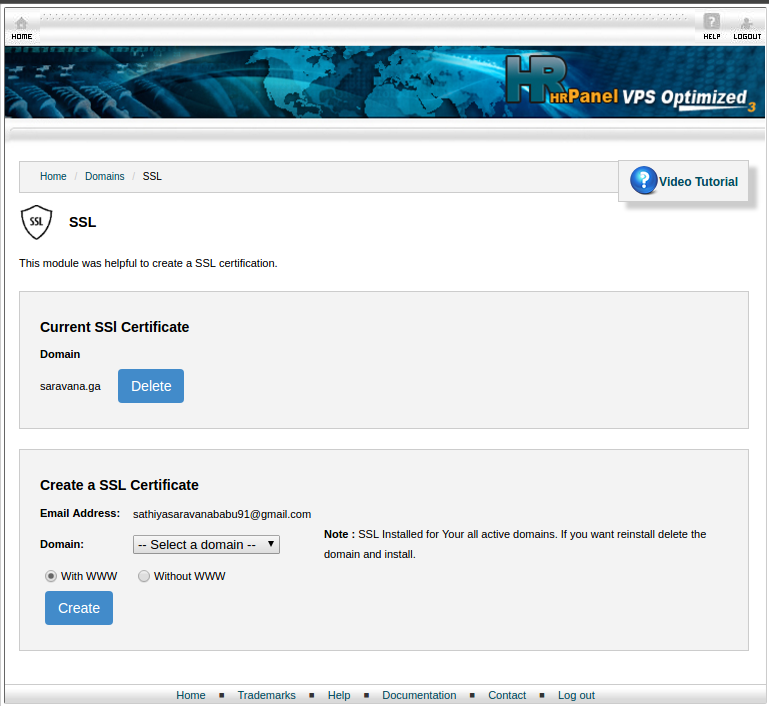 Below is the video on Installing and Renewing SSL Certificate in OVIPanel. The OVIPanel provides the ssl Module which makes it easy to install SSL in a single click. What does the SSL do …?? Why SSL is required ..?? Is SSL really secure ..?? SSL does not provide any security once the data is on the server. It is still necessary to use hashing and server side encryption if you want to protect the data at rest from breaches to the server itself. HTTPS is HTTP sent over an SSL encrypted connection. SSL only secures the connection between client and server. SSL installation requires number of steps to be carried out from back end. Though the steps are simple it requires knowledge of how the commands has to be executed. To come over this problem OVIPanel has come up with SSL module which does it in a single click. All you have to do is select the domain name for which you want to create SSL from the drop down menu and click on create. The interface of the SSL module is as shown in the image. 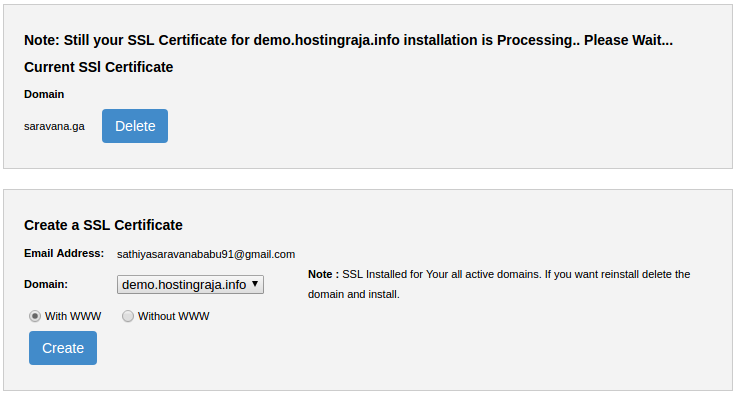 We will have two options while we try to create ssl certificate.Those are with and without www. You can select either of these with the options provided. Once you click on create you will have the status on the screen. You can able to see the created SSL module in the list. With the provided delete option you can even delete the created SSL certificate.